Welcome! Thanks for checking us out - please, come and join us on a Sunday morning! Sundays - everyone is welcome! We have two services on a Sunday at 9.30am and 11.15am and we’d love to invite you to come along and meet us, worship Jesus with us and enjoy some good coffee and pastries! To find out more about our Sunday services, please go to our Sunday Services page. 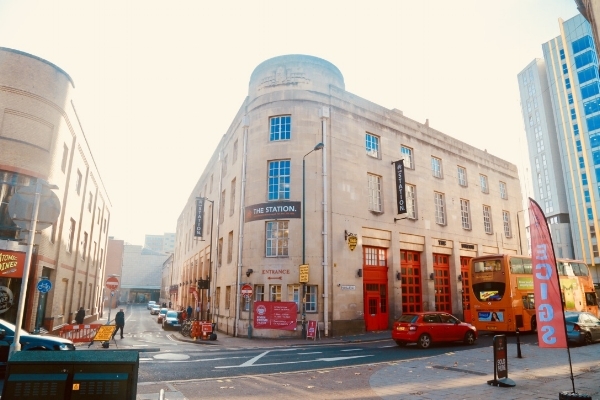 We are located in a brilliant, city centre venue called The Station, located on Silver Street - ideal for those who use public transport. If you need to drive to us, then we would recommend you park in the Rupert Street Car Park, opposite our venue, and we would love to pick up the cost of your parking. To find out more about where we meet, where to park and how to park for free, then please have a look at our Find us page. We love to welcome families to worship together and you’d be so welcome with your family! We have a range of activities for children of all ages that happen primarily during our first, 9.30am service. Your children will have so much fun whilst you enjoy the service downstairs. You can find out more about Vineyard Kids here or Youth here. Whether you’re a student at Bristol University or UWE or elsewhere, a first year, second year, gap year or final year student, then welcome! You can find out more about getting involved on our dedicated Students page. We are a diverse group of people from different backgrounds, countries, languages and churches, spanning a variety of age groups. To help you feel at home and find people that you can best connect with, we have a wide variety of Community Groups. Community Groups are at the heart of who we are: they help us to get to know others and be known amongst a growing church. To find out more, visit our Community Groups page. One of the best ways to get to know someone is over food, and at Severn, we have plenty of opportunities to get together over a meal! 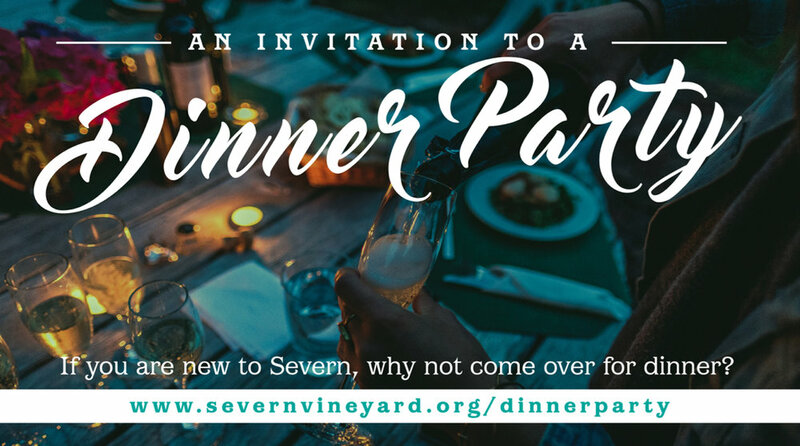 We would recommend you come along to one of our Newcomers’ Dinner Parties, held monthly and hosted by Owen & Claire, Lead Pastors of Severn Vineyard. To find out more or sign up go to our Newcomers’ Dinner Party page. You can do this through the links on our website or by visiting our Information Desk on a Sunday morning. We hope to see you soon!